Great Western Coffee Shop > Journey by Journey > Chiltern Railways services > Chiltern to Didcot Parkway? Railfuture are proposing that when Class 387’s get to Didcot in December 2017, the Didcot – Oxford diesel shuttle service be provided by extending the Marylebone – Oxford services. From a railway operating point of view this is an interesting idea. 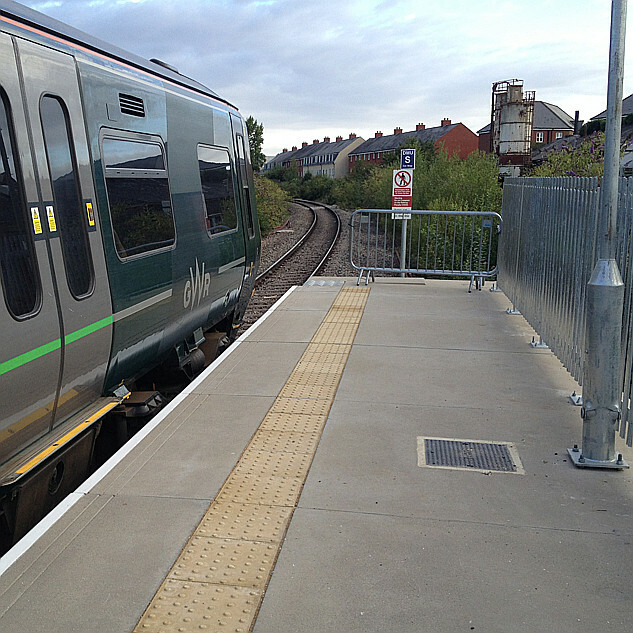 Platform lengthening at Appleford and Culham will still be required, and there may be timetabling issues reconciling paths between Bicester – Oxford and Oxford - Didcot. But not having terminating GWR Turbos cluttering up Oxford could be beneficial during any station rebuilds, and it would save GWR having to resource the Didcot – Oxford shuttle, which being a small operation would be more difficult to do efficiently. Re: Chiltern to Didcot Parkway? Would you end up with Chiltern Turbos cluttering up Didcot though ... and what about their Cowley extensions of the Marylebone services? You’re going to have Turbos cluttering up Didcot whoever operates them. As regards Cowley, fair point, but I don’t know if they were expecting a 30 minute service. But the point is that there's some logic in having all the Oxford area Turbos based at Banbury depot and operated by Chiltern, and the Turbos for North Downs, Thames Valley branches and Basingstoke based at Reading depot and operated by GWR. This idea had drifted through my mind in an idle moment ... without knowing if it is technically doable. My guess at the station arrangement at Didcot would be a cross-platform change between the two stopping services on 4/5. and although they may not be planned to call at Didcot at present due to abstraction reasons, perhaps something from that list could call there. An important logical flow from Grove and Wantage Road would be to Reading and London. Just depends on how far you want to look / plan ahead or speculate, and how much you believe timescales quoted. Platform space at Didcot is indeed limited by the track layout. From Oxford, trains can only reach plats 4 & 5. Once in 5, the only possible destinations are onwards towards Reading, or back to Oxford, so 5 can't be used for Oxford-Swindon or vice versa. Extend Marylebone to Oxford on to Didcot (reverse), Swindon, Chippenham, Melksham and Westbury. Reviving the short-lived Oxford to Bristol service from a few years back. Chiltern would require more stock to run through to Didcot, so I think it's unlikely to happen. The Turbo shuttle will mostly just go in and out of 5 with the EMU service running into and out of 4. That leaves 3 for through freight and the few through passenger services to Oxford. Shouldn't put too much extra strain on Didcot. And thety haven't planned extra capacity in Banbury depot either.